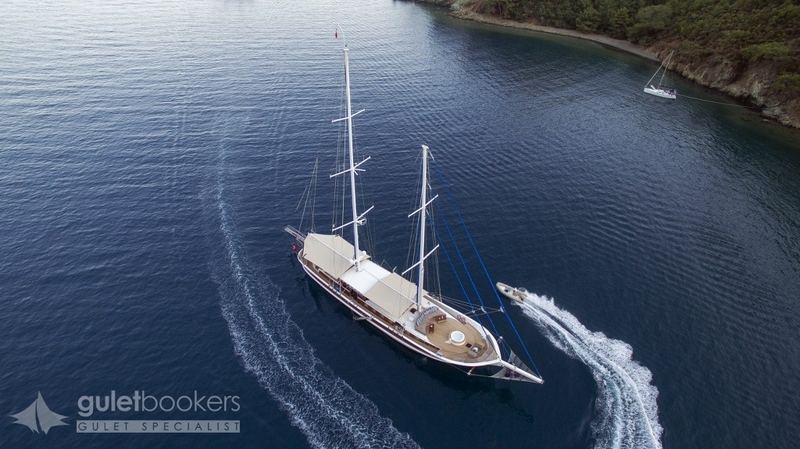 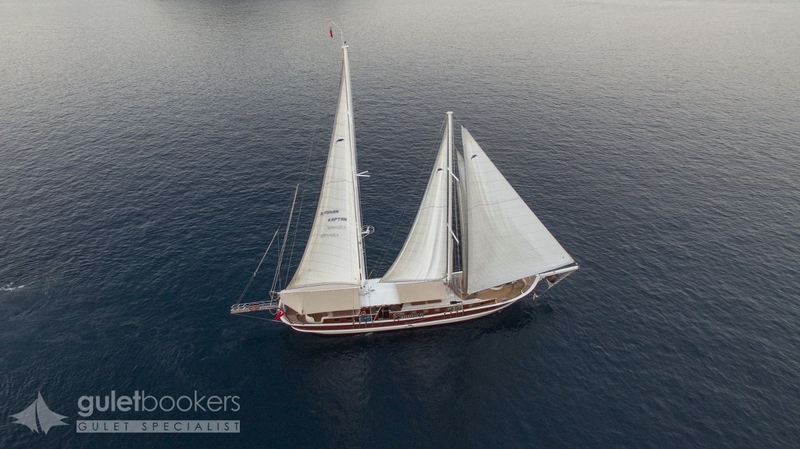 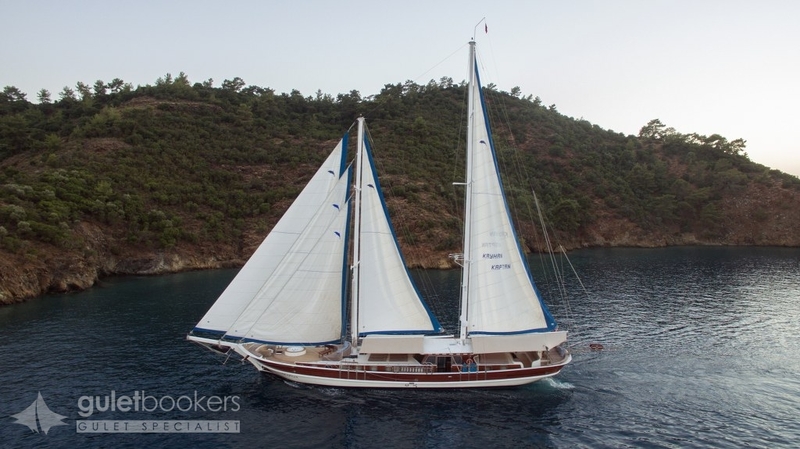 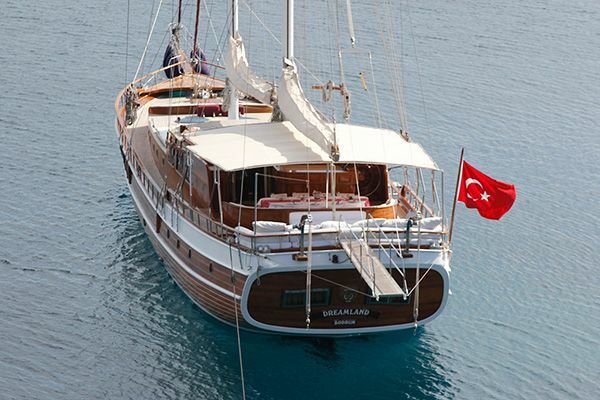 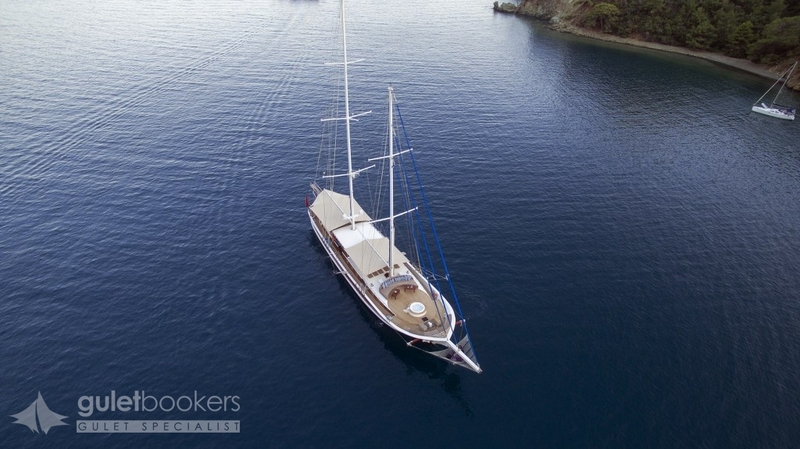 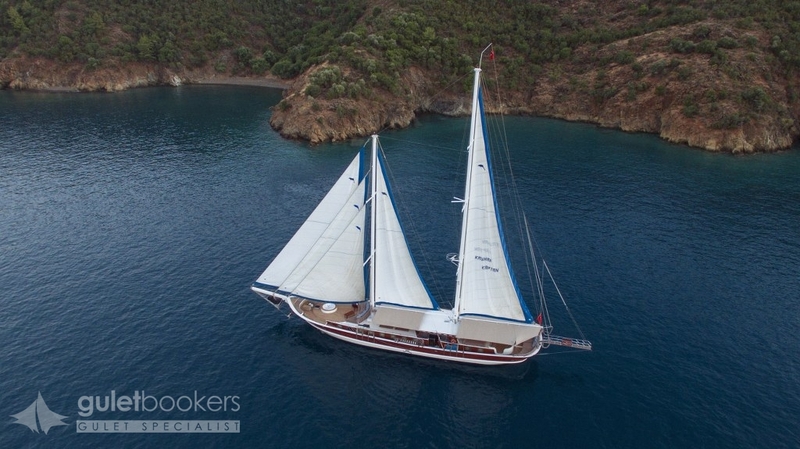 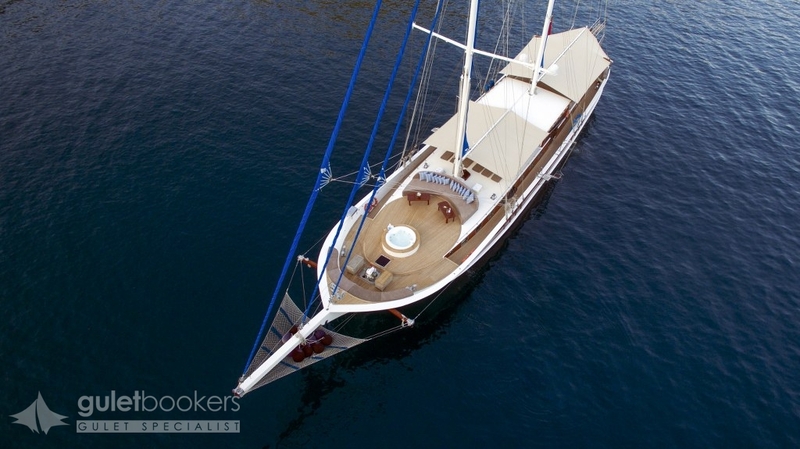 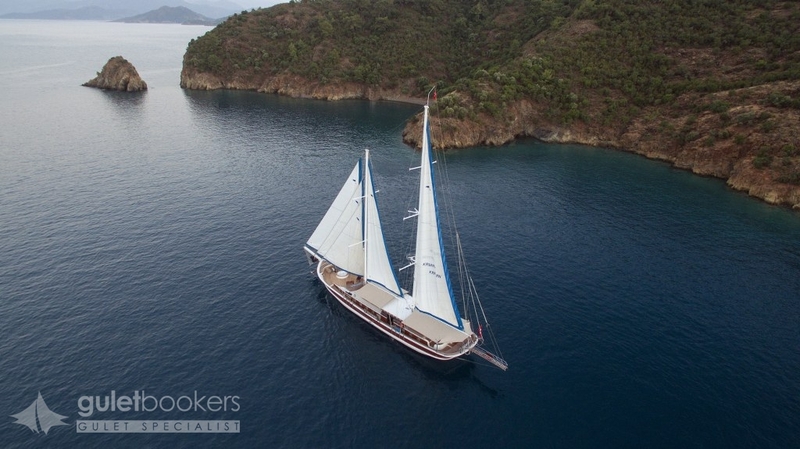 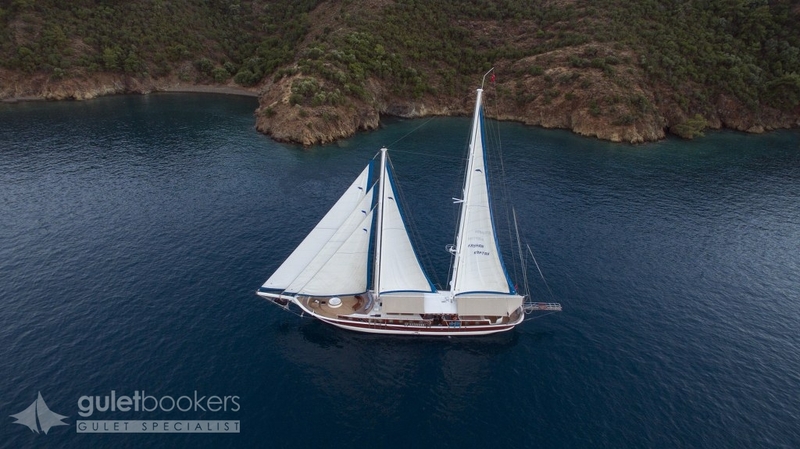 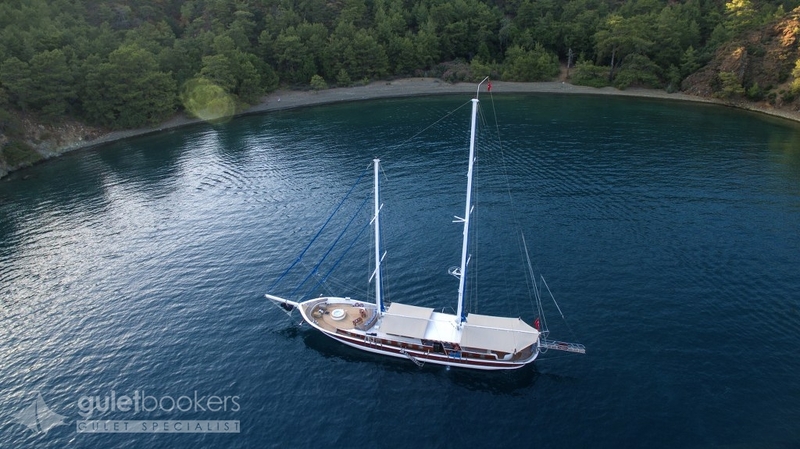 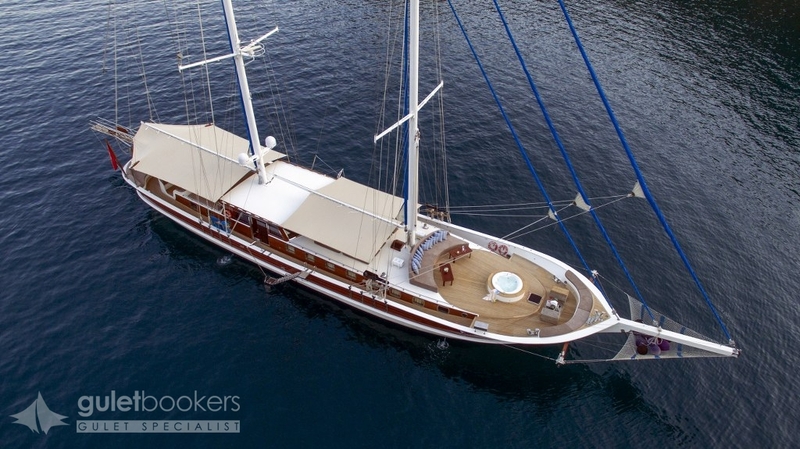 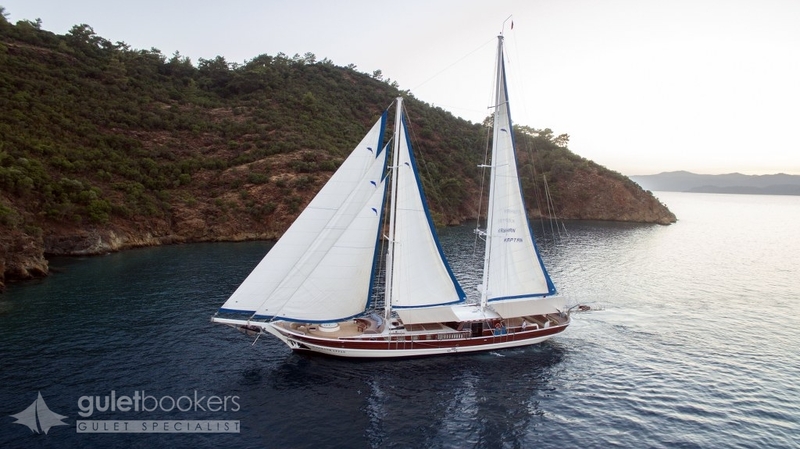 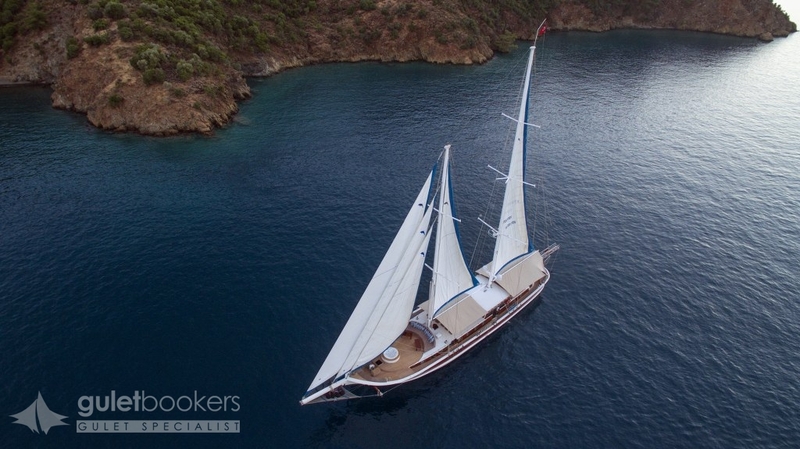 One of the finest luxury gulets built in Fethiye , the Kayhan Kaptan has the beautiful lines of classic gulets and is a wonderful sight when under sail. 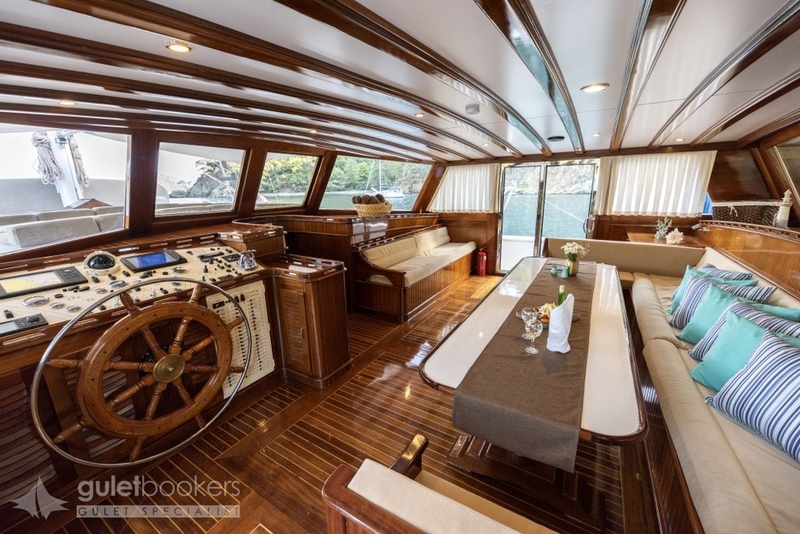 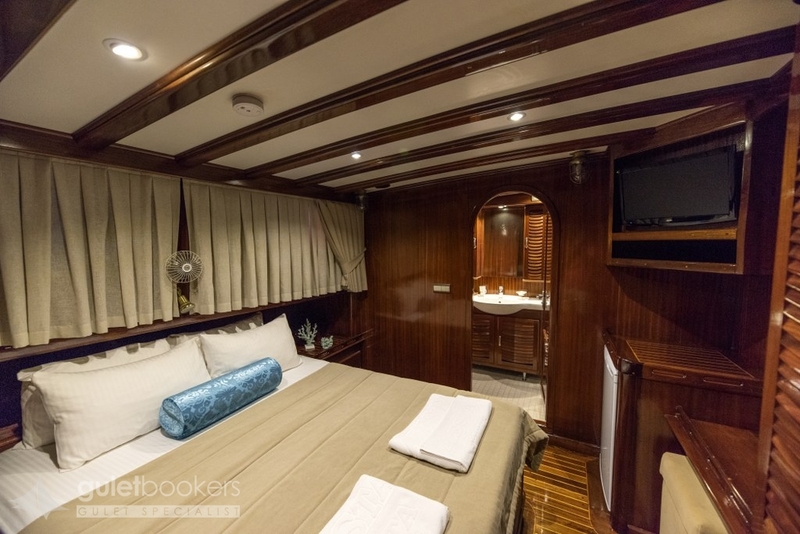 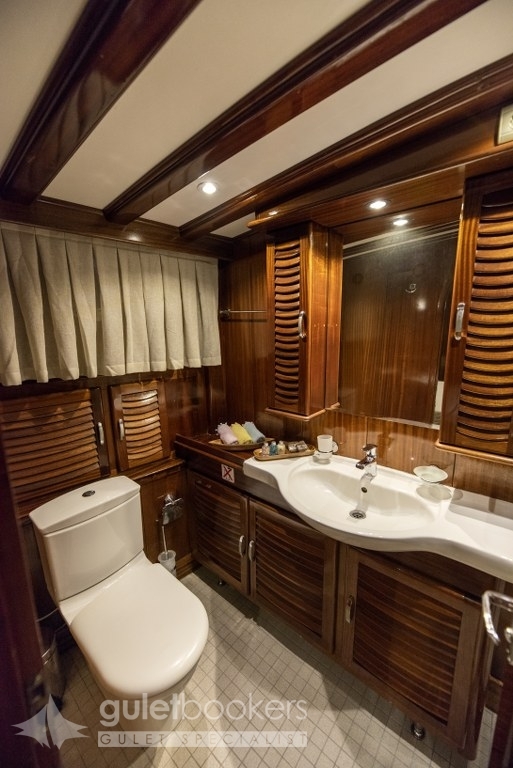 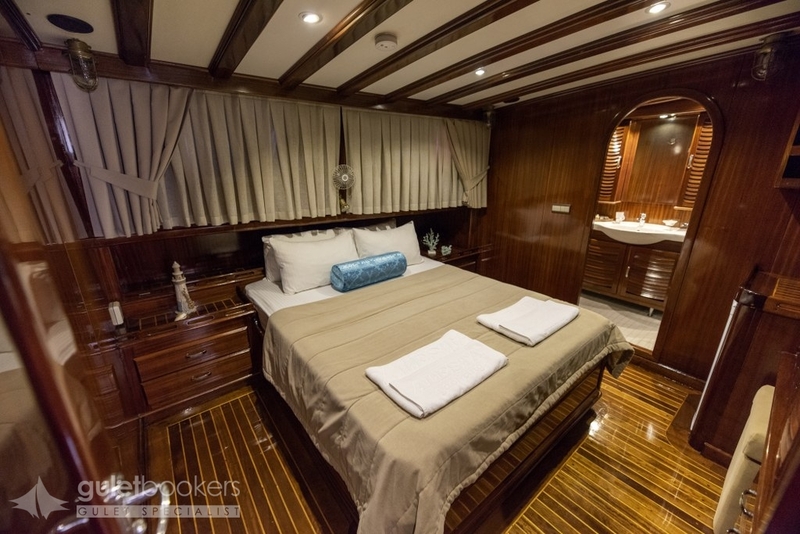 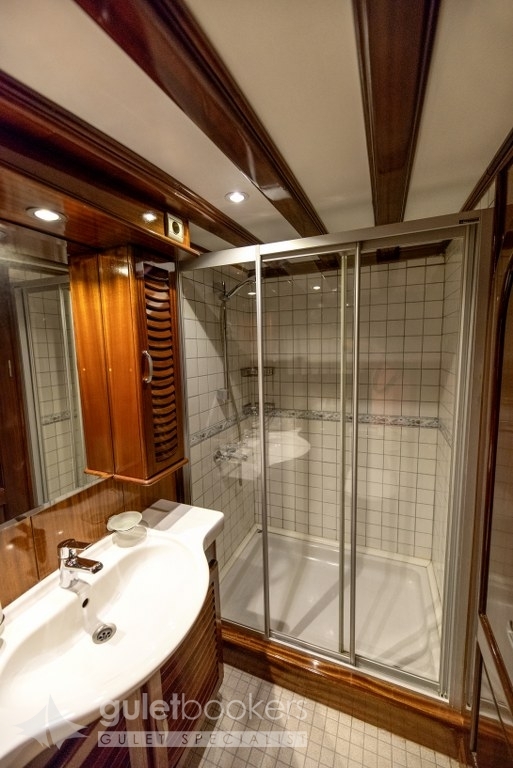 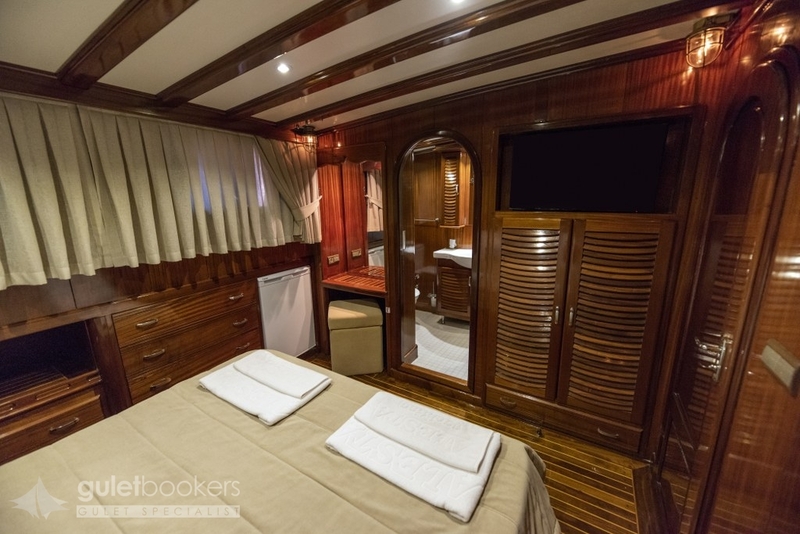 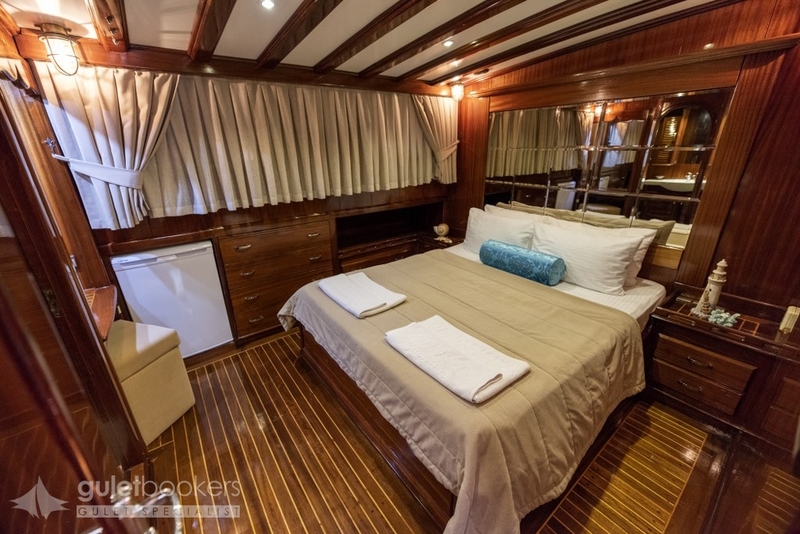 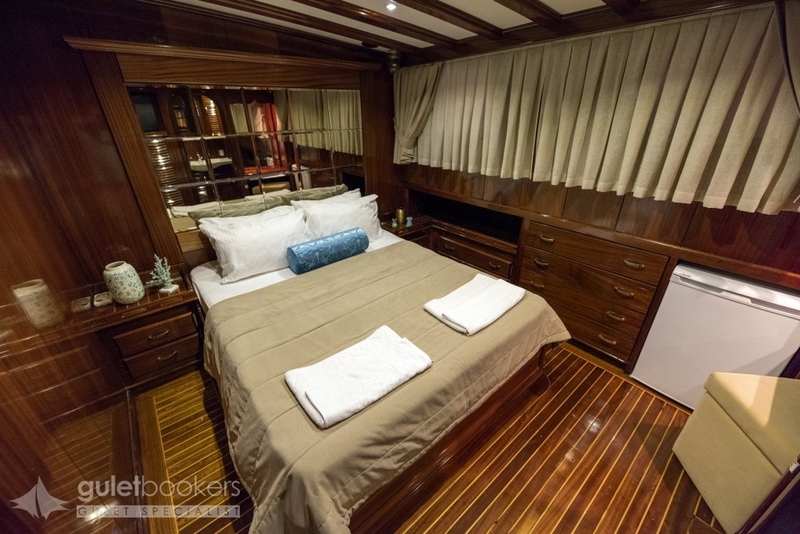 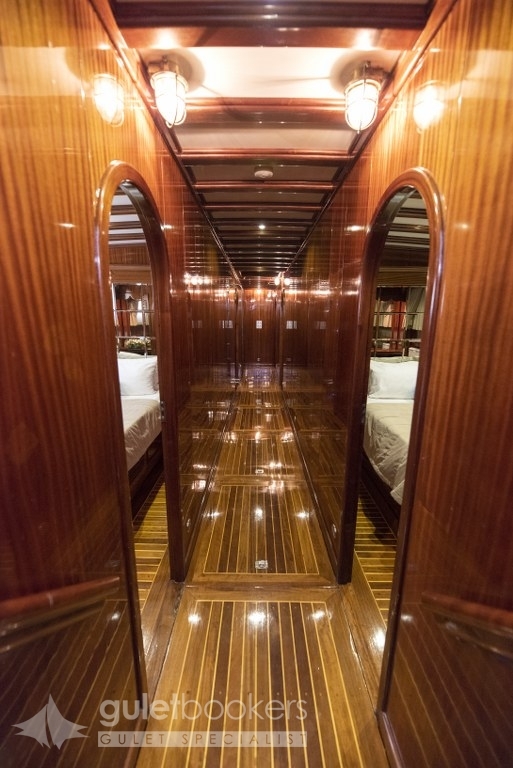 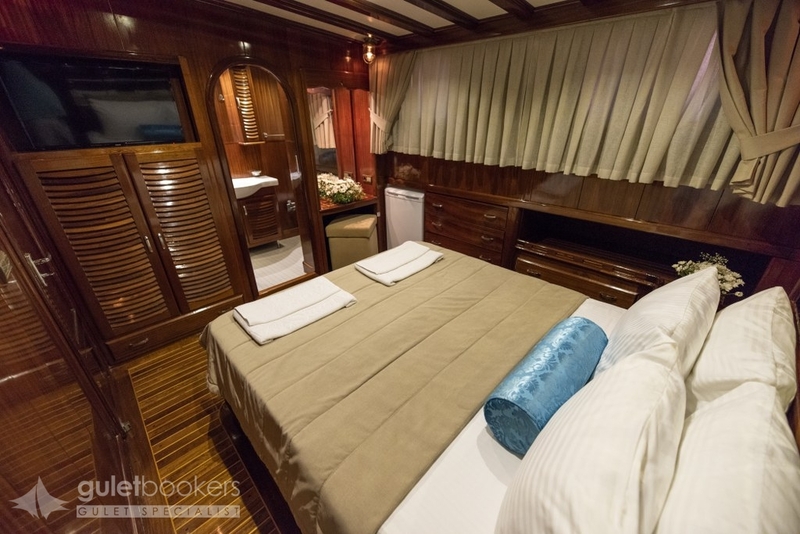 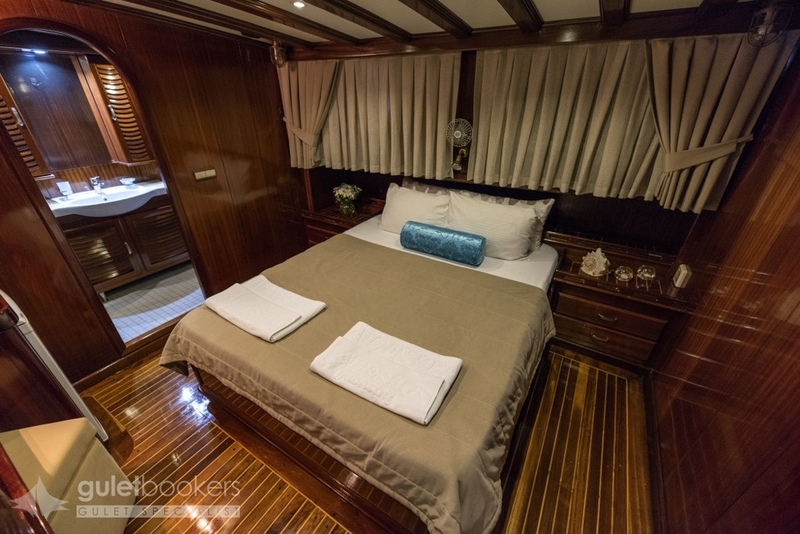 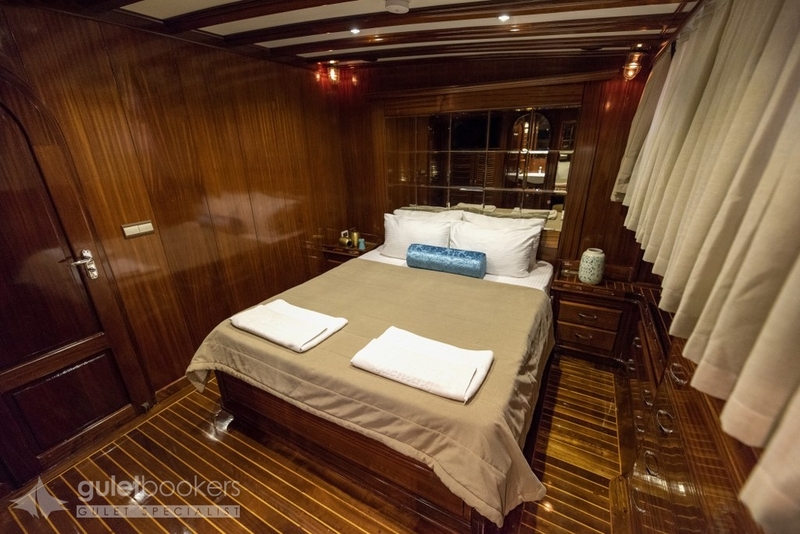 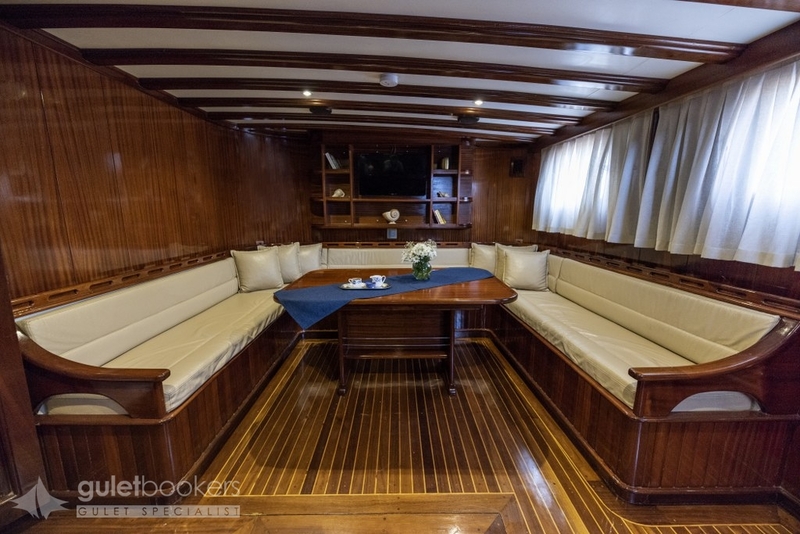 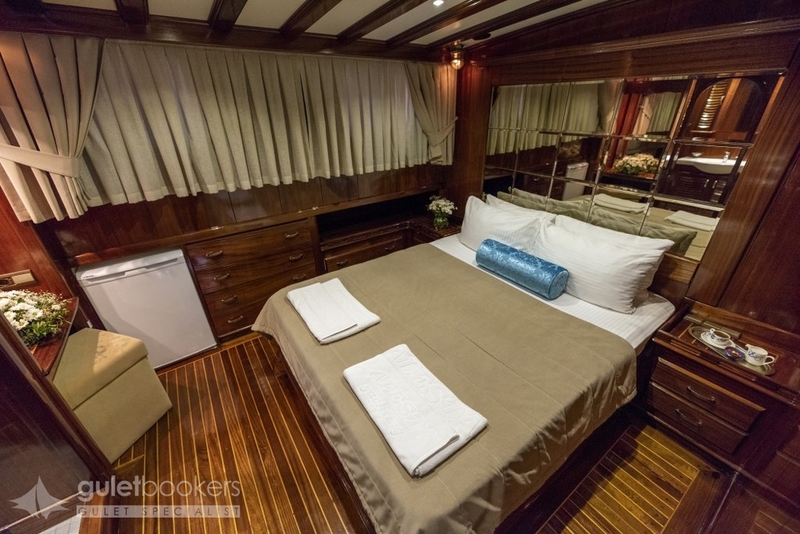 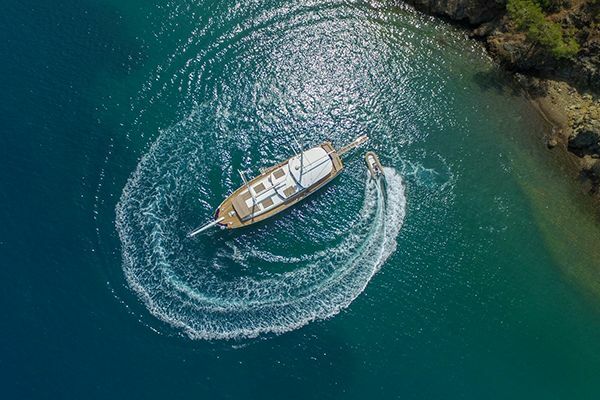 It is even better to be aboard when she sails or even motors and anchors, with her comfortable air-conditioned double bed berth cabins with their own bathrooms, and the shared cozy saloon where guests may watch the great menus being created by the cook. 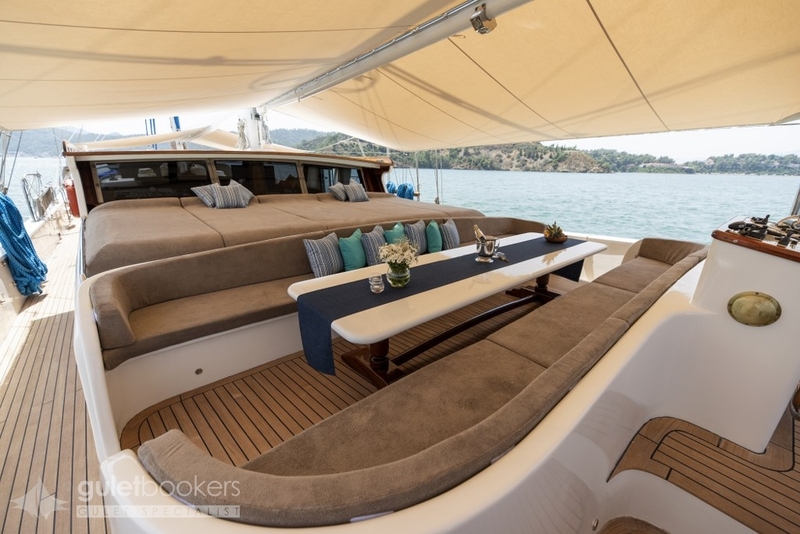 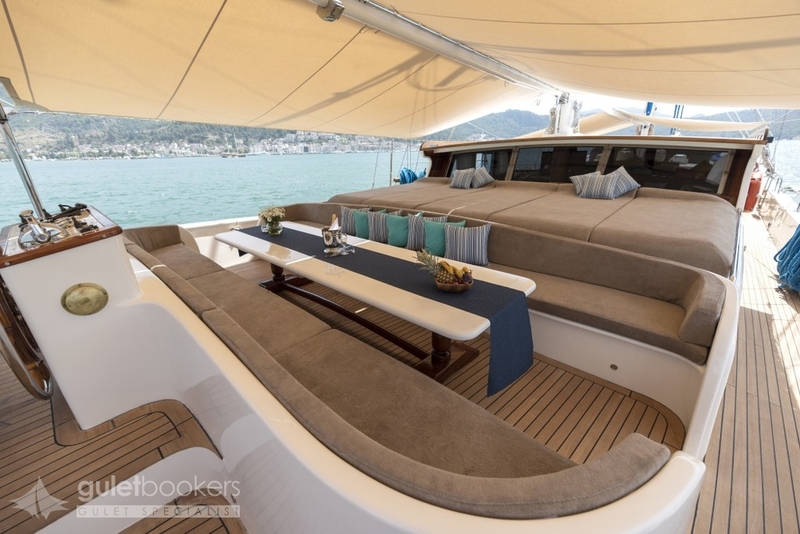 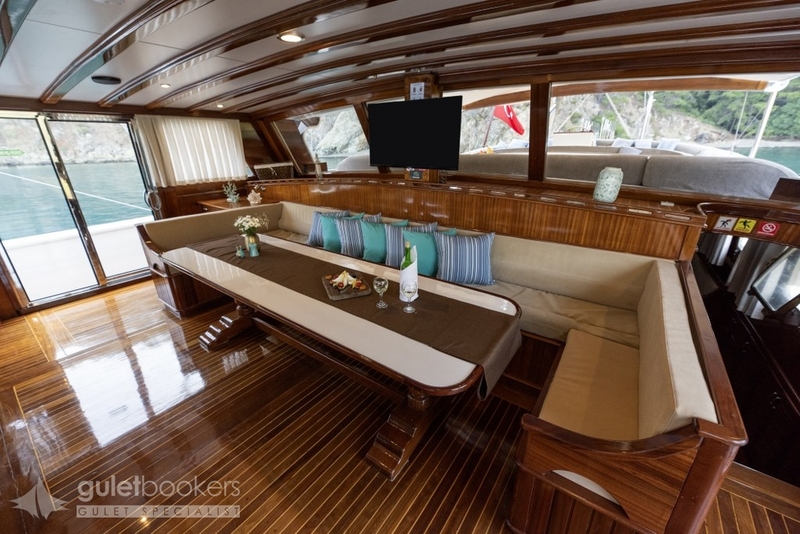 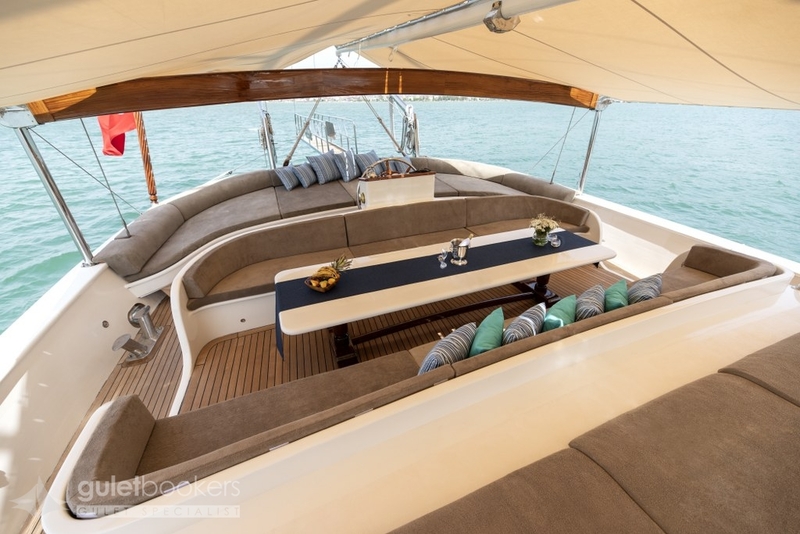 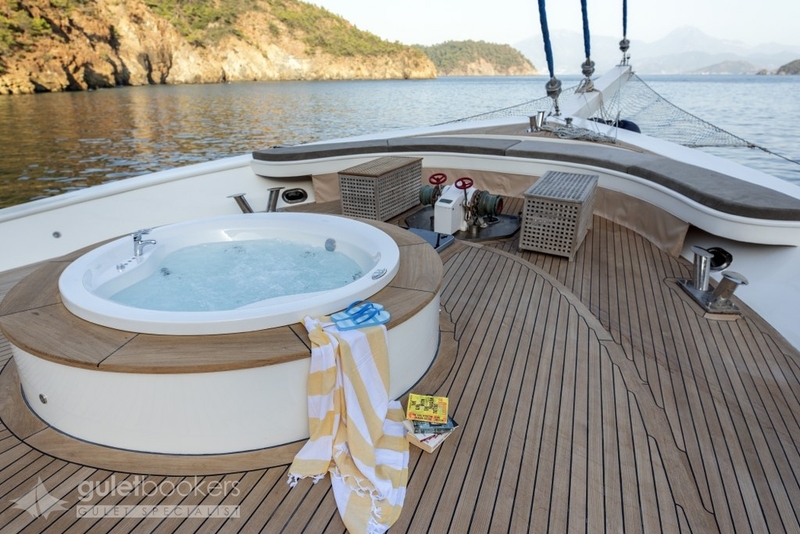 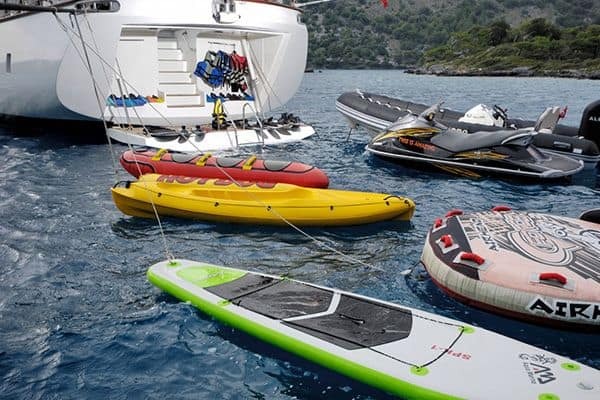 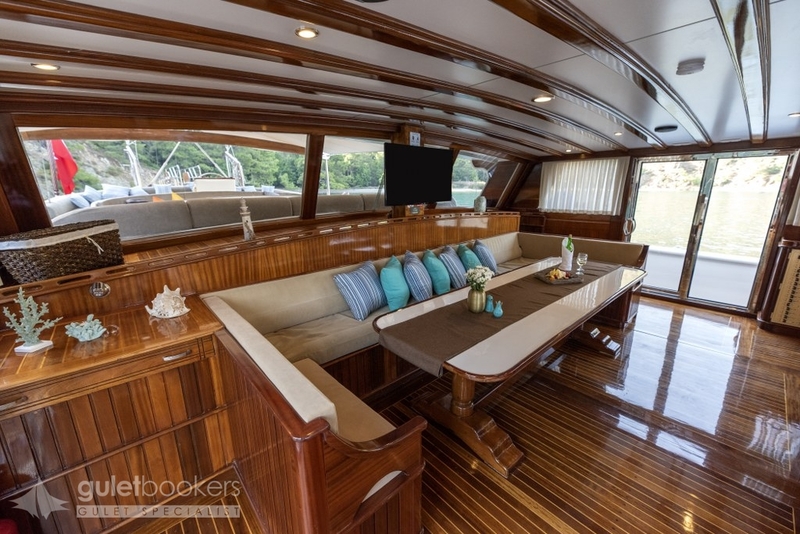 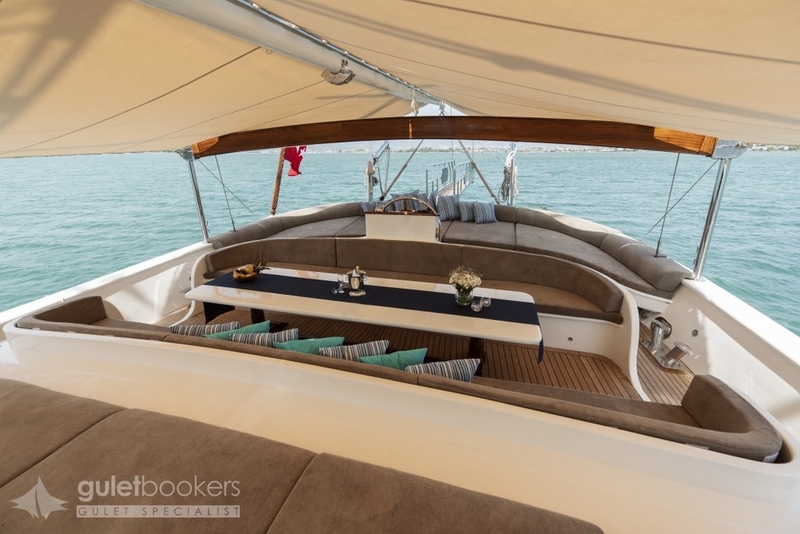 On deck is where the sunshine and breeze is to be enjoyed, on the personal sunbeds on the foredeck, or on the cushions and at the dining table on the aft deck. 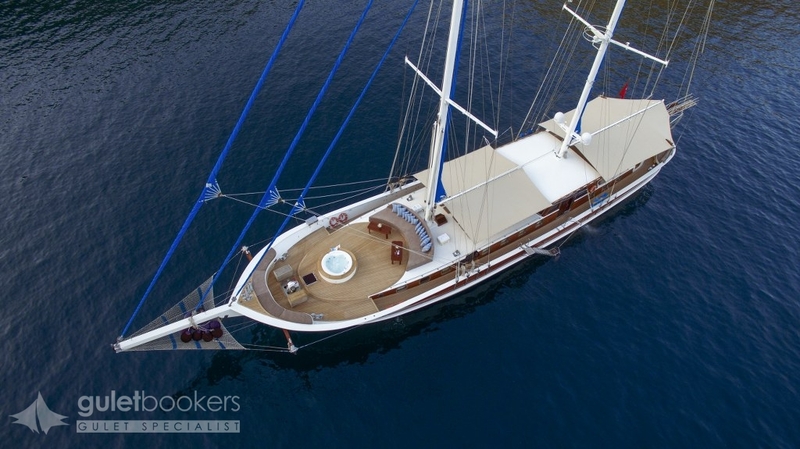 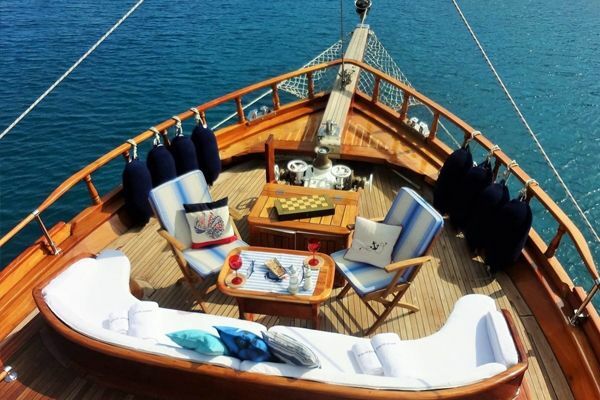 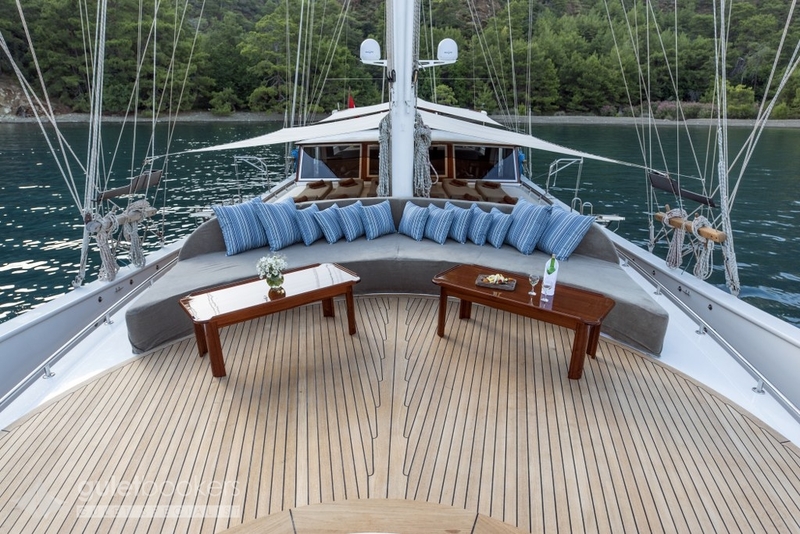 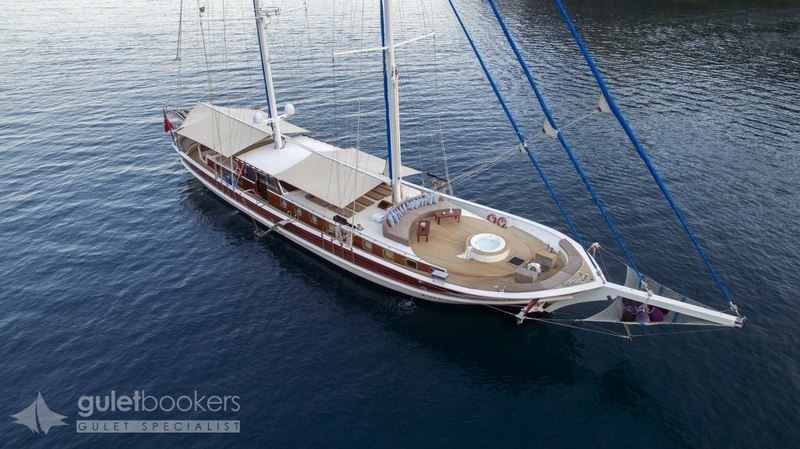 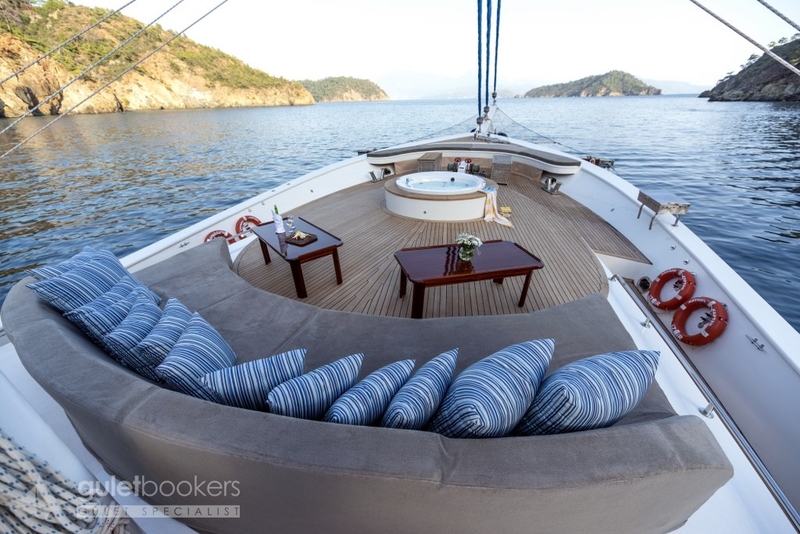 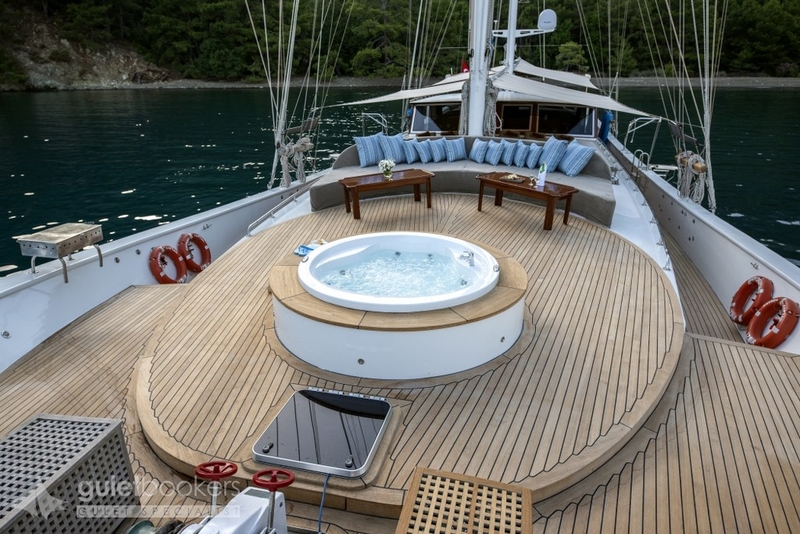 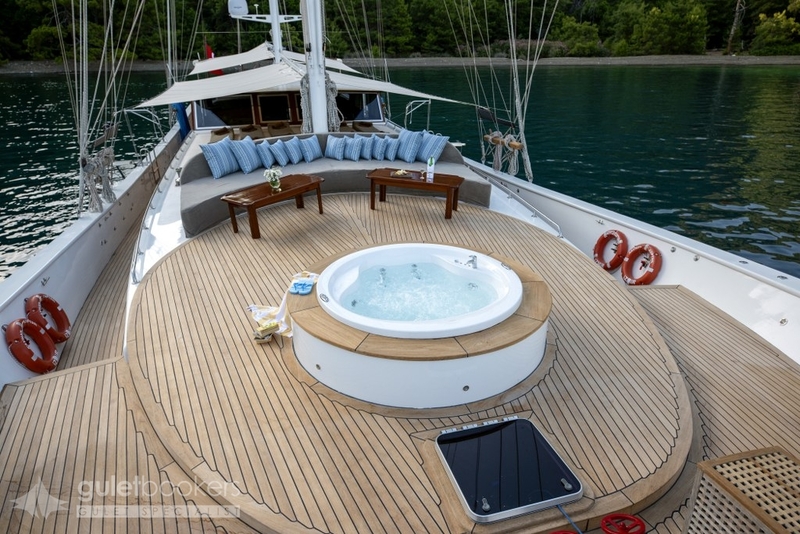 The guests on luxury sailing gulet Kayhan Kaptan are pampered by the friendly, experienced crew who also love to set the sails and really show her style moving through the water. 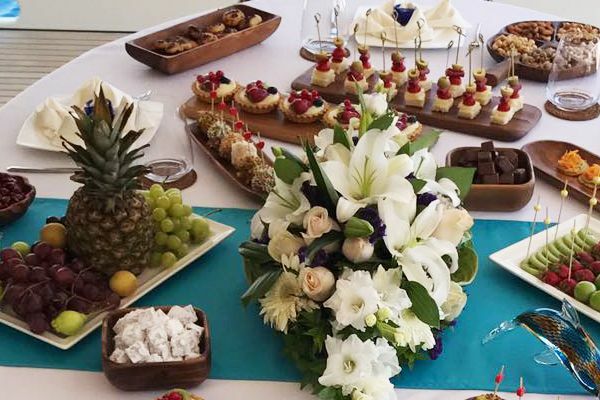 Guests are welcome to help too! 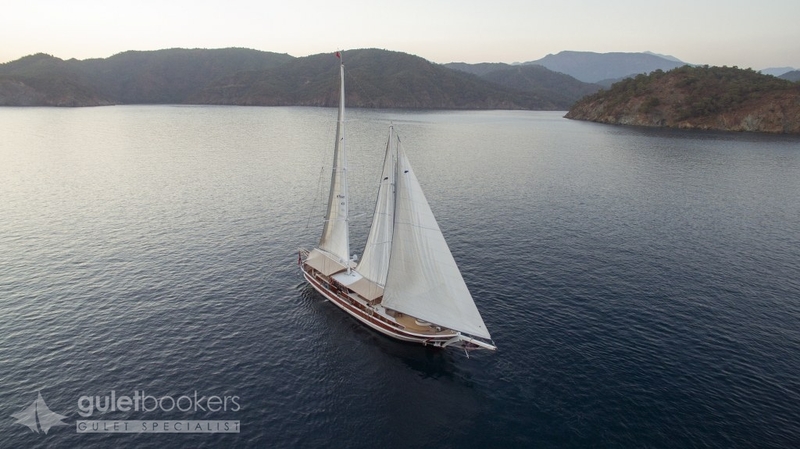 For exploring the beautiful Turkish coastlines or the fascinating islands of the Greek Dodecanese Islands, a truly relaxed, carefree gulet cruise holiday can be enjoyed on this popular gulet.